The destination shone at the Apple Vacations trade shows that took place in Chicago, Illinois and St. Louis, Missouri; the team also trained 54 travel agents in Kansas City, Missouri. 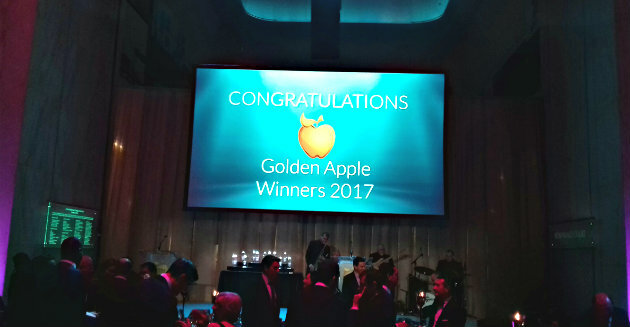 Wholesaler Apple Vacations singled out some of the top hotel chains in the Riviera Nayarit during a ceremony held on September 11 in Chicago, Illinois, where the company awarded the 2017 Golden Apple Awards. The cream of the crop of the tourism industry was present at the gala dinner hosted at the Windy City’s Museum of Science and Technology, and included hotel general managers and representatives from the different tourism destinations that work with Apple Vacations. Hotel chains such as Riu, Iberostar, Palladium and Marival, all of which have properties in the Riviera Nayarit, participated in different categories including Best All Inclusive, Best Family Hotel, Best Adult Only and Best Chain. The awards were given based on surveys conducted by the hotels with their clients to gauge their level of satisfaction. Two trade shows also took place during the September 12-13 time period. The first was the Apple Vacations Trade Show Chicago, which was attended by a thousand travel agents not only from this city but also from Missouri, Indiana and Wisconsin. 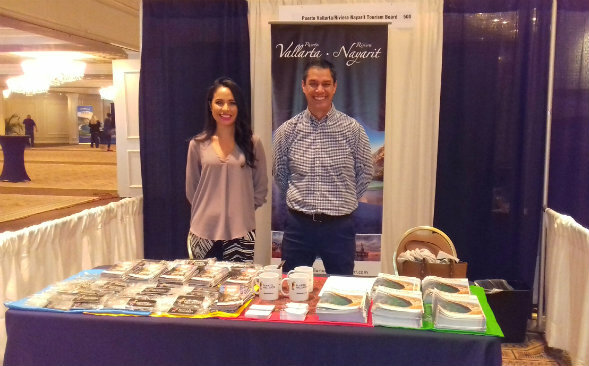 The Riviera Nayarit Convention and Visitors Bureau and the Puerto Vallarta Tourism Trust worked alongside sales executives from 20 regional hotels to welcome the agents and present the latest updates from both tourism destinations. According to Carlos Eguiarte, Promotions and Sales coordinator for the Riviera Nayarit CVB, there was an excellent response from the attendees during this first event since the majority of travel agents who were contacted already sell the region very well, which sets the stage for a robust winter season. The Apple Vacations Trade Show in St. Louis, Missouri was held on September 13th with over 400 travel agents, with similar results to the Chicago event. Last but not least, a very successful Puerto Vallarta-Riviera Nayarit Seminar was held in Kansas City, Missouri before a full house (54 agents). 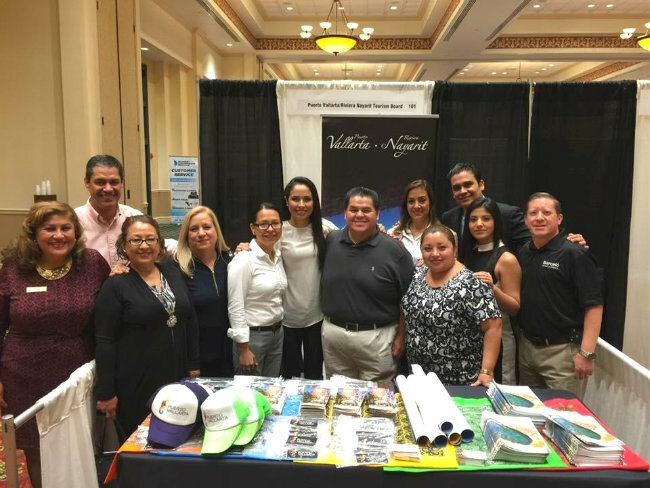 “The travel agents who attended left with a very good impression thanks to the variety of tourism products offered by both destinations,” said Eguiarte. Eleven hotels and three wholesalers were also part of this promotional event, which was the final activity held in one of greatest points of origin for tourists to the region, especially during the winter season. Representatives from American Airlines Vacations, which has a strong presence in the Midwest, joined the team, as did wholesaler Gogo and the Mexico Tourism Board (MTB).